One of the things that I learned while traveling is to take a city tour almost as soon as I arrive to a new place. My family’s favorite option is a bike tour. This allows us to cover more places in less time and my boys are able to get more distracted. This time we were able to see and learned about all of Malaga’s highlights in about two hours. I have traveled for many years now and I learned that it is always a good idea to get your bearings by taking a tour. You can do this in a few different ways: walking tour, bus tour or bike tour. Everyone in my family loves biking so a biking tour is a default everywhere we go. However, there is a challenge I keep running into. Not all of the tour companies can accommodate us. Not everyone has small bikes or kid seats. Luckily during our trip to Spain I found Malaga Bike. They had what we needed. Kay, the owner, was able to handle our needs. She was even excited to do it because she’s now expanding her business to be able to do more family tours. Most companies do group tours at convenient times but my recommendation is to always get a private tour. When traveling with kids it can make all the difference. Kids can get bored quite easily. They also want to stop everywhere. Also I learned that most tours last about four hours. But getting to two or two and a half hours can be a huge accomplishment with my boys. Private tours are more accommodating. This tour started at their main store, located on the Marina. From there we started pedaling towards Malaga Center and the historic district. 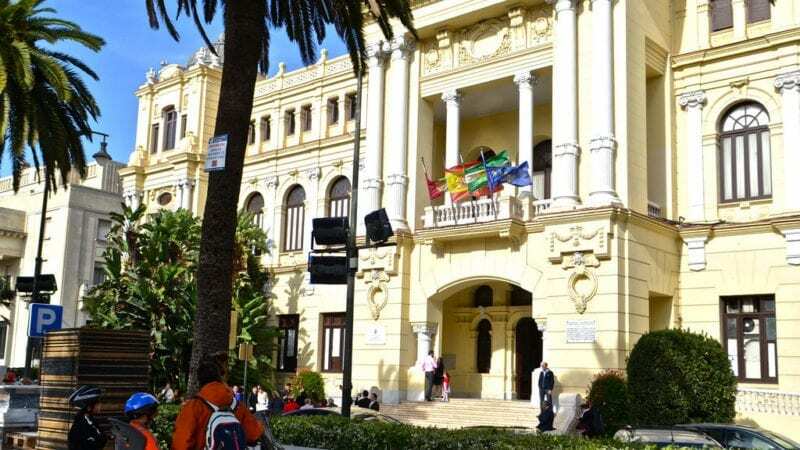 We were able to see tons of amazing plazas, windy streets, and learned about its history. 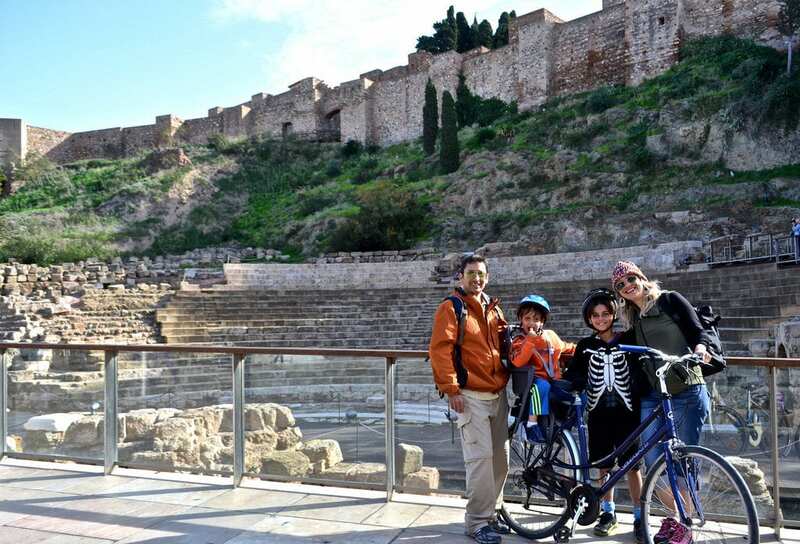 The highlights of the tour include The Alcazaba (fortress) and Castillo (castle). They are standing on top of the Roman ruins of the original Roman Theater. The fortress was built during the 11th century, the castle 14th century. There is a joke being told in Malaga, that says the Alcazada (in Arabic) of Malaga is the miniature preview for the main Alhambra which was built three centuries later in Granada. We also visited the birth area of Picasso. He only lived in Malaga for 13 years and left Spain when he was 19. He lived in France for over 70 years, waiting for the Franco’s dictatorship to end, but he died before that happened. Even though our tour was only supposed to last two hours my boys got really hungry. So our guide took us to Atarazanas Market, the main central market of Malaga. Then we passed by Constitution Plaza. This is where the New Year celebrations take place. There are tons of traditions that revolve around it. The most fun one is the importance of wine and grapes. Just as the clock is about to tick twelve, people start putting grapes into their mouths – 12 for each month. This is supposed to bring luck to each month. Spain’s matador culture is still super vibrant. However in Malaga the bull ring is only active two times per year. Whenever there is no bullfight going on you can go in to the bullring for free. We also drove our bikes past this place. The last part of the tour took us to the port where you can see the Mediterranean Sea. In just two hours we got an in-depth look at what I wanted my family to really experience. I also got some cool ideas of other things to do and see in the city. 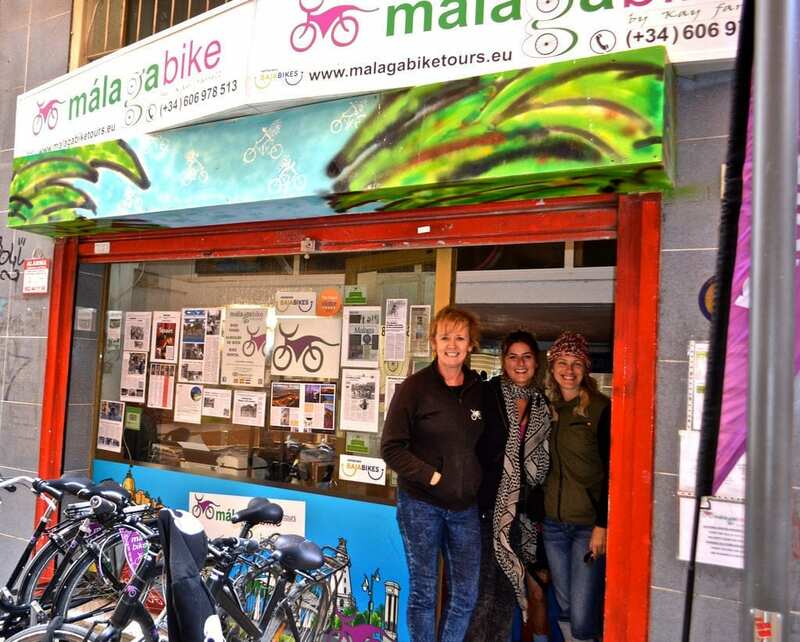 Malaga Bike Tours was founded in May 2008 by Kay Farrell. Kay Farrell was born and raised in England. She later lived in Toronto, Canada for twenty years but now calls Spain home. 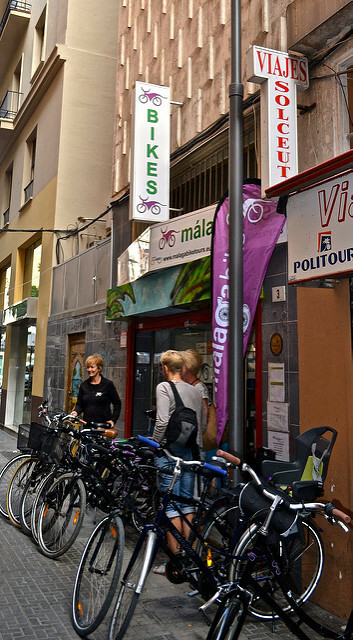 This is the original company for sightseeing bicycle tours in the city of Malaga. Tours run every day at 10 a.m. and 3 p.m. The cost of the approximately four-hour tour is 25 €. It includes a complimentary typical malagueño drink. 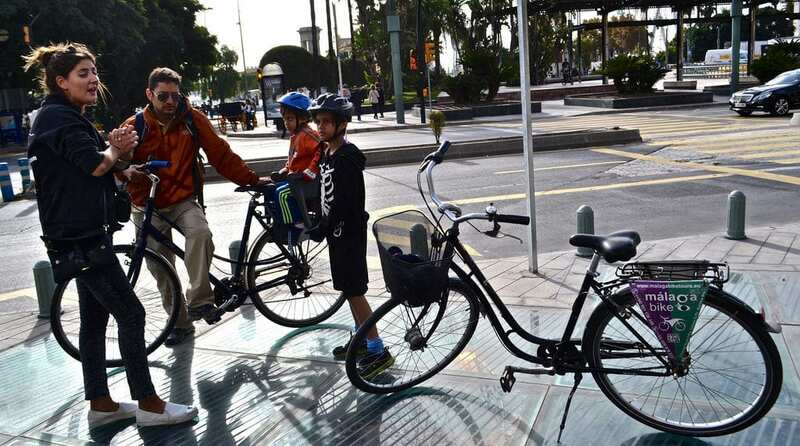 The meeting point is in the Plaza de la Marina, next to the main tourist office.